HORTON Legend Ultra-Lite w/Package,w/ACUdraw 50i?? Legendary performance in an ultra-lightweight package born to drop any big game in its tracks. 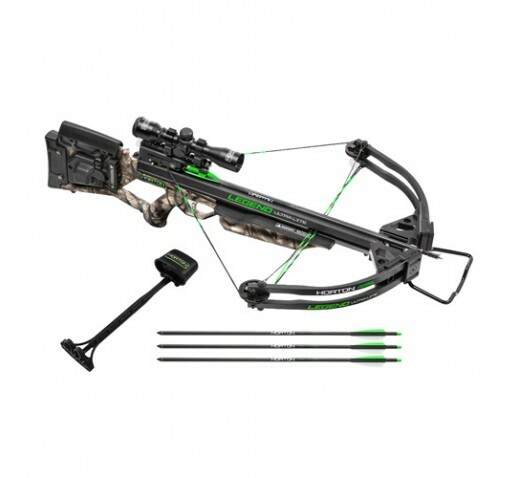 The Legend Ultra Lite combines a robust 175-pound bow assembly powered by 13-inch HL Limbs, with a lightweight carbon injected polymer barrel, all fitted to Horton's ABX (Adjustable Bullpup Crossbow) Stock for personalized comfort and handling. - Length with Stirrup: 35.5"
- Width Axle-to-Axle: Uncocked: 21.60" and Cocked: 18.375"
- Weight without Accessories: 6.8 lbs. - Draw Weight: 175 lbs.